What’s better than a pavlova? 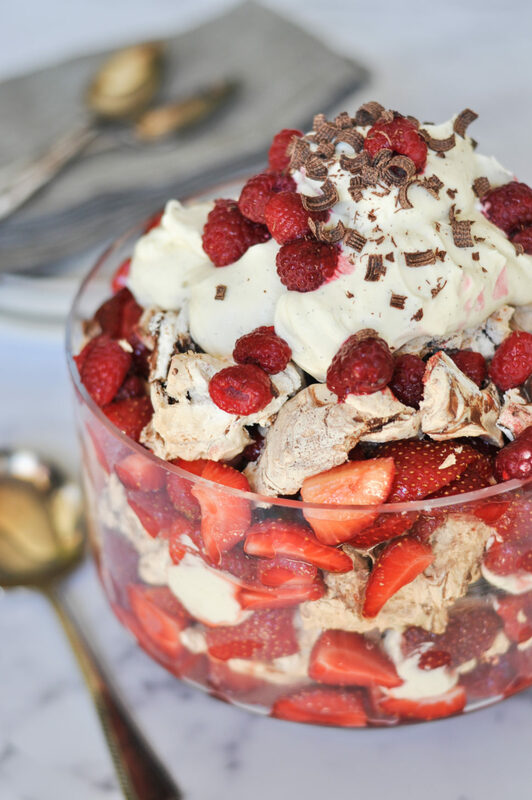 Chocolate Cinnamon Swiss Meringue Eton Mess! This is so delicious and beautiful, with rustic charm. It can be made in either individual servings or in one decadent, glorious mess. There will be no complaints, I assure you. This dessert needs all of the components to be pre-made, then just quickly assemble when you are ready to serve.